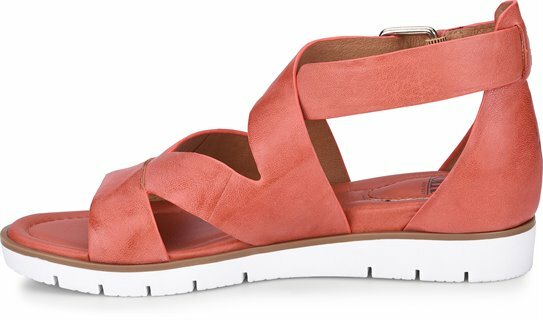 A supple leather sandal set on an athletic-inspired outsole. Very comfortable and good-looking fashionable sandals. These shoes are so comfortable. I vacillate between a 7 and 7.5 in sandals and I went with a 7 in these. They are great mix of sporty and classy. I felt like they looked current and yet not too young. Thumbs up! The shoe was great. I had a problem with fastening the buckle due to physical limitations. I wish I could have kept them since they were comfortable and stylish.